Get started down the path towards being a power Mac user. Most of these will cost you absolutely nothing except a bit of time to set up. Got a new Mac this holiday season? If this is the first Mac you’ve ever owned, a hearty congratulations! Your new Mac is easy to use and incredibly powerful. As easy as the Mac is, doing some things may not be instantly obvious, and you owe it to yourself to make sure you’re getting the most out of your new investment. Here are ten things that you can do right away that will help you get started down the path towards being a Mac power user. Most of these will cost you absolutely nothing except a bit of time to set up. Time Machine is foolproof backup software made by Apple, baked right into the Mac. You’re crazy not to use it. Time Machine makes recovering from big problems easy, because it keeps a snapshot of your Mac. Time Machine makes it a breeze to migrate to a new Mac when the time comes to replace or upgrade your system. If you’re worried that you’re going to “break” your Mac or delete important files, Time Machine should make you feel much more comfortable. The “time” in Time Machine is a timeline that you can review, restoring files or changes to files that were made at the points where Time Machine saved its backups. Time Machine works with external hard drives and Apple’s Time Capsule (a Wi-Fi base station with a built-in backup drive). To get it to work, flip the switch in the Time Machine system preference, tell it where to start backing up, and let it do its thing. 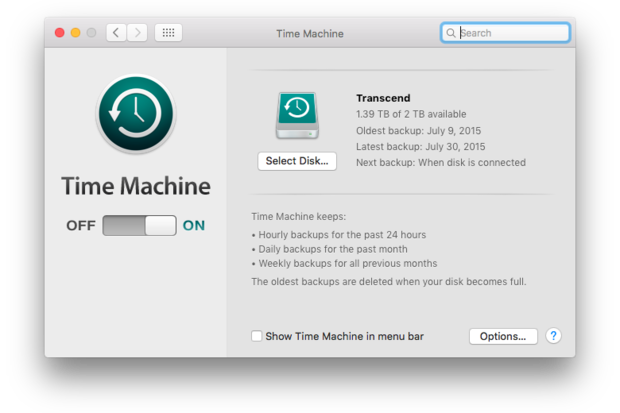 Time Machine backs up your Mac hourly, daily, weekly, and monthly, so you’ll always been able to recover. As long as that drive is connected or that Time Capsule is on the network, your Mac will be backed up. There’s a good chance that if you’re buying a Mac for the first time, you already use an iPhone or an iPad. Just like those other devices, your Mac wants your Apple ID and Apple ID password. 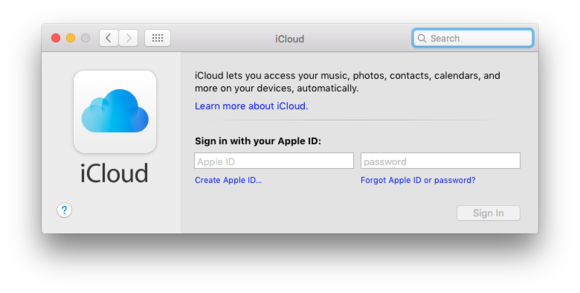 You connect iCloud on your Mac when you first set it up, or through the iCloud system preference afterwards. By connecting iCloud on all your devices, you can share photos, contacts, calendars, and much more, without ever having to physically tether or sync your devices. If you haven’t created an Apple ID, here’s your chance. Think of your Apple ID as your keys to the kingdom. If you’ve ever wondered why the Mac doesn’t come with a thick owner’s manual explaining how it works and how all the apps work, wonder no more: That manual is actually built right in to the computer. The Help menu is so obvious that most of us overlook it all together. But we do so at our peril, because it can be a huge help. 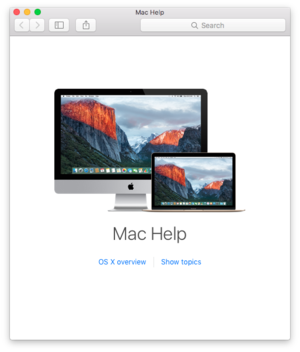 The Help menu sits right there in the menu bar, and it’s contextual: Its contents will change depending on which app is open. Clicking on the Help menu will bring up a search field, table of contents, lists of shortcuts and other helpful tips and step-by-step instructions, often with visual cues to show you which menus to click on and what menu items to select. Any time you get stuck in an app and don’t know what to do next, click on the Help menu to get you out of your jam. The  menu is in the upper left corner of your Mac’s screen. Clicking on it gives you instant access to your Mac’s system preferences, the Mac App Store, and apps and documents you’ve recently opened. You can also use the  menu to restart your Mac and shut it down. If an app misbehaves and stops working, the  menu also sports a special function that’s worth knowing: Force Quit. 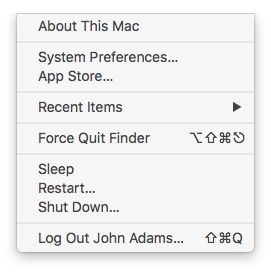 Force quit will make an application exit the Mac’s memory, which makes it easier to restart your computer and get back to business. Apple set up the Mac App Store as a convenient and safe way to download software for your Mac, all using the same Apple ID and password you use for iTunes and iPhones apps. 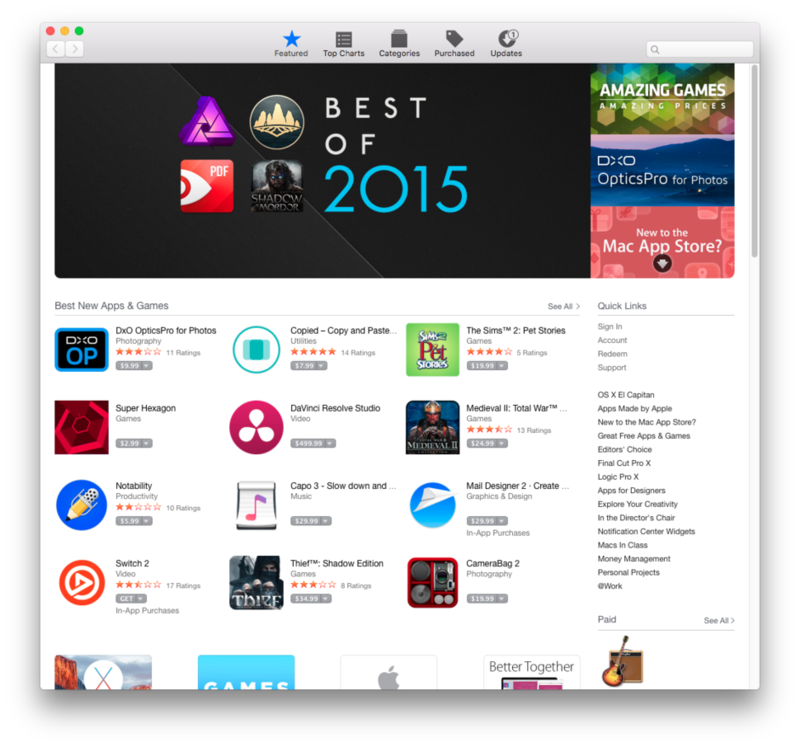 There are thousands of apps available, including many free ones that won’t cost you a dime. The Mac App Store is much more important than just as a way to download great new apps for your Mac. It’s also how Apple distributes essential system software updates for the Mac. These updates often include security improvements. To keep your Mac running in tip-top shape and to keep everything as secure as possible, download updates when you see notifications from the Mac App Store. Before you make any changes to your Mac, though, it’s wise to make sure you have an up-to-date backup, in case something goes wrong, which brings us back to step one above—back up early and often. Are you still accessing your email using a web browser, going to Gmail or Comcast or Yahoo’s website to see what new messages you have? 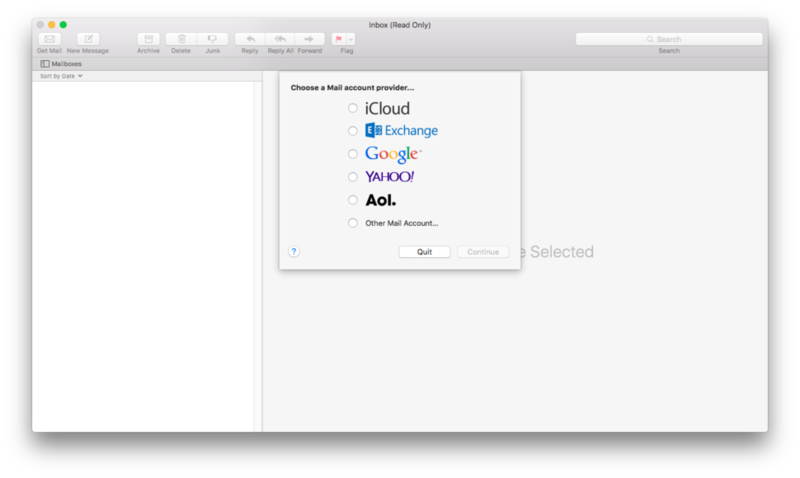 There’s a better way: Apple gives you a Mail app that can connect to almost every email service. Using the Mail app is a lot more convenient especially if you check multiple email accounts, and it’s well-integrated with the Mac’s other core applications, like the Contacts app, Calendars and Maps. 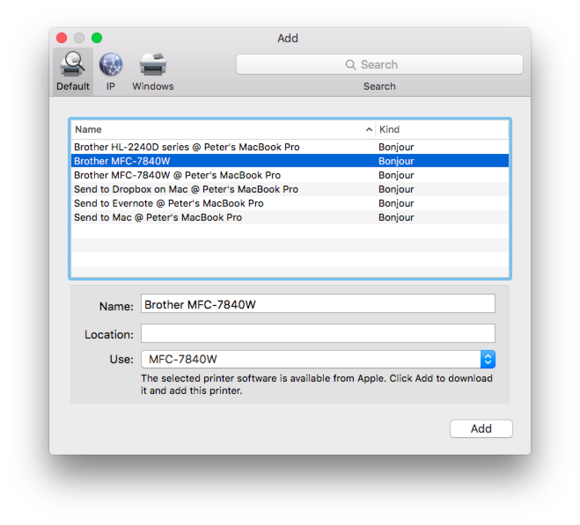 Most printers come with CDs or DVDs loaded with manufacturer’s drivers and software. Since newer Macs don’t include a SuperDrive that can read those disks, you might think you’re out of luck, unless you bought an expensive external SuperDrive. Not so. In most cases, you don’t even need those discs. 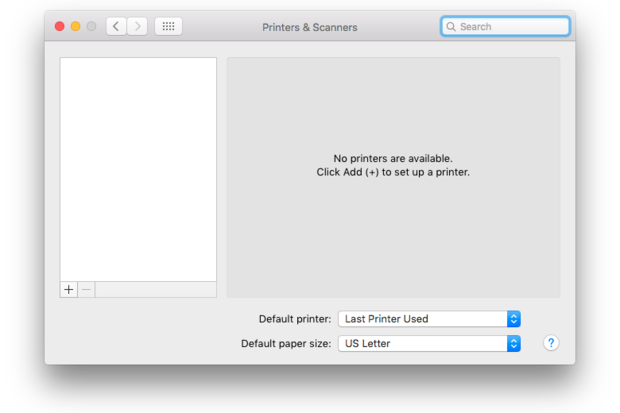 All you need to do is to physically connect your printer to the Mac, or follow its built-in prompts to set it up on your household Wi-Fi network. 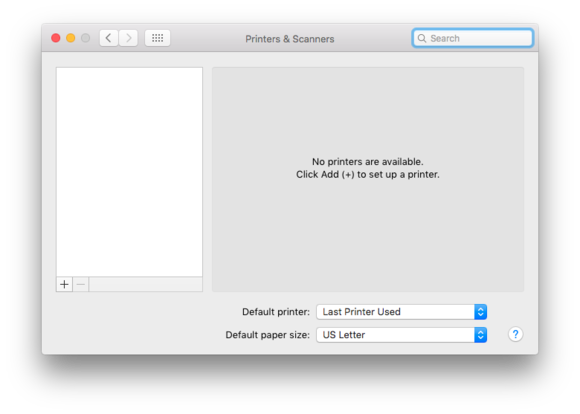 Open System Preferences, click on Printers & Scanners and then click the + button. 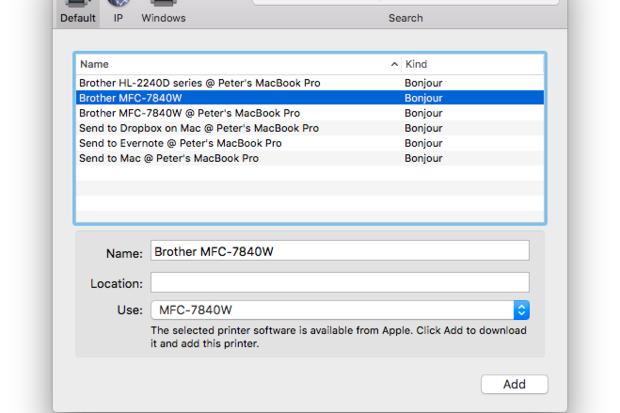 If your Mac recognizes the printer, it’ll configure itself accordingly, and will download the right drivers from the Apple’s servers if need be. Built right into OS X, Spotlight helps you quickly find things on your computer: documents, apps, images, contacts, maps and files. What’s more, it can connect to the Internet to search places like Wikipedia, news sites, movie listings and more. You can even use Spotlight to do calculations, like converting feet to meters or any sort of arithmetic you’d rather trust to the computer. Spotlight lives on your Mac’s menu bar; it’s the icon that looks like a magnifying glass. Clicking on it brings up the Spotlight search field, and typing anything into the search field will cause Spotlight to start working. 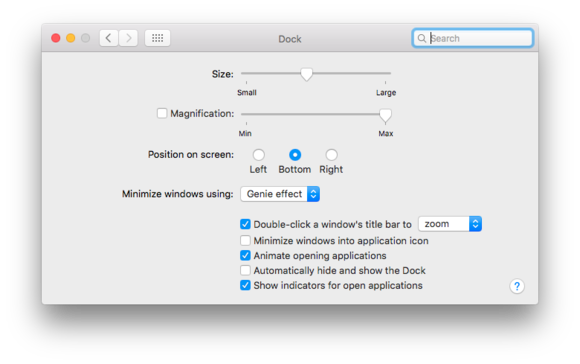 What’s more, you don’t even need to move the mouse to start Spotlight: Hold down the command key on your keyboard and press the space bar, and Spotlight will appear. 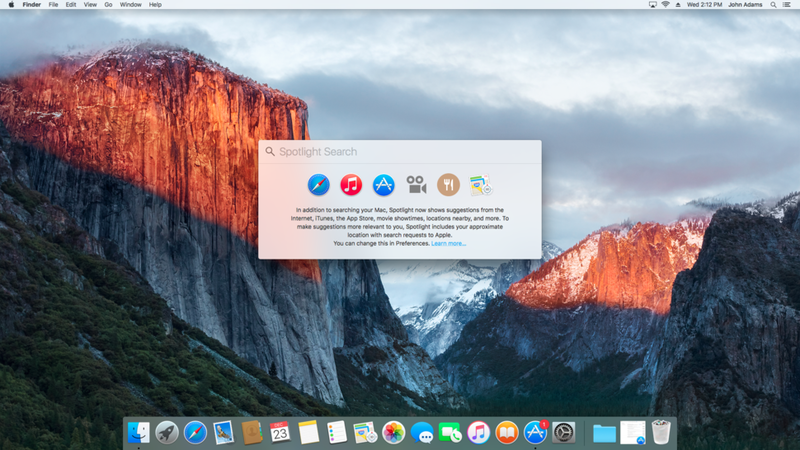 Once you get the hang of it, using Spotlight is the fastest way to launch apps, find documents and do other stuff really quickly. The Dock is that bar of icons that sits at the bottom of the Mac’s screen. Clicking on those icons opens many of the Mac’s built-in apps, like Safari, Mail, Contacts, Calendars and Notes. You can customize the Dock to your needs: You can add applications, folders and files you need frequently simply by dragging them and dropping them into the Dock. You can remove them by dragging them out until you see the word Remove pop up. The icons in your Dock aren’t the apps, documents and folders themselves, just visual representations of them. So don’t be scared to remove them or move them around. You can always find them again. You can tailor your Dock to show you only the apps you care about. Don’t use Maps or FaceTime? Drag them out of the Dock to neaten it up a bit. Use Mail more than anything else? Move it over to the left instead. 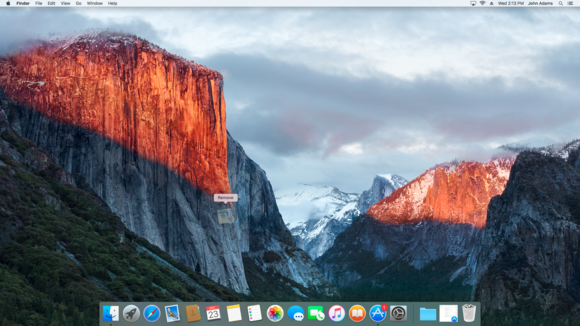 Open System Preferences and click on the Dock icon to change other settings. 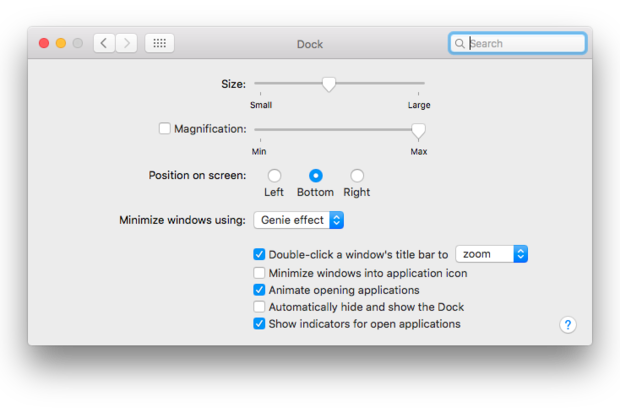 You can resize the icons that appear in the dock, change the magnification of icons as you pass your cursor over them, and reposition the Dock to the left, bottom or right edges of your screen depending on what you like. 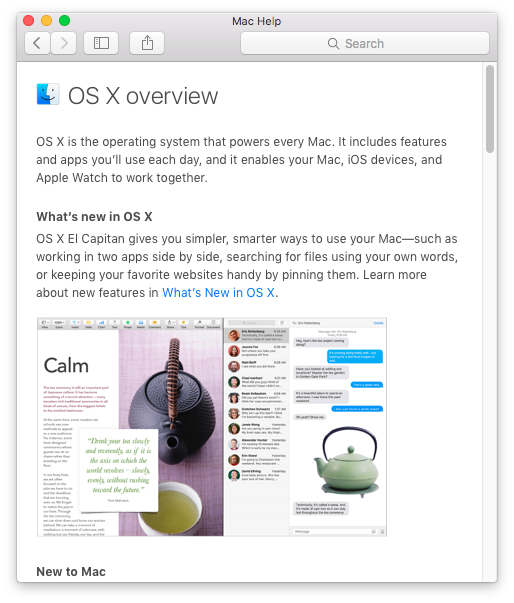 Apple’s user interface is set up with straightforward menus such as File and Edit, and most apps expose their major features through those menus as well. Need to print something? Just click on the File menu and select Print. But you can save yourself so much time by using keyboard shortcuts to do commonly used tasks instead. Instead of clicking on the File menu and selecting Print, for example, you can just hold down the Command key and press P.
Each app on the Mac has its own shortcuts. 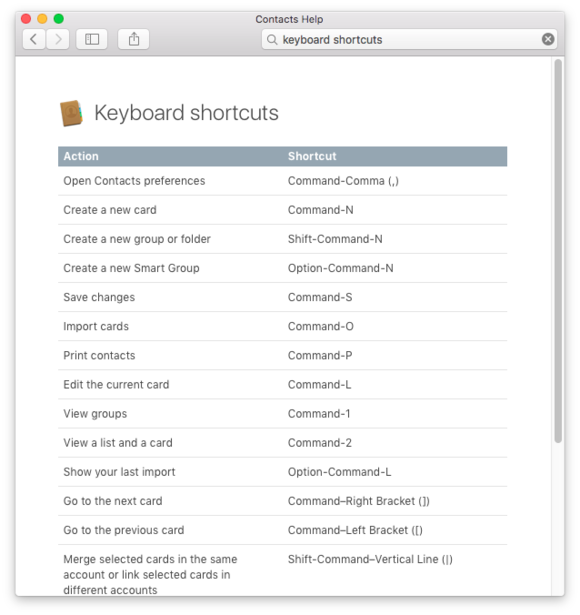 Opening Mac Help and searching for “keyboard shortcuts” will yield some references, too. 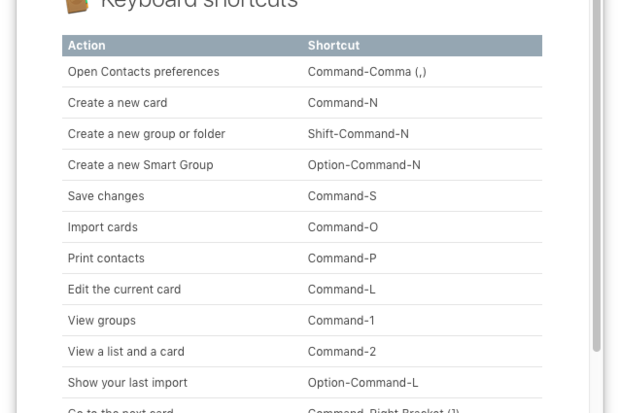 There are a lot of common keyboard shortcuts—to learn some of the most powerful keyboard shortcuts on your Mac, check out this great primer by Chuck La Tournous. 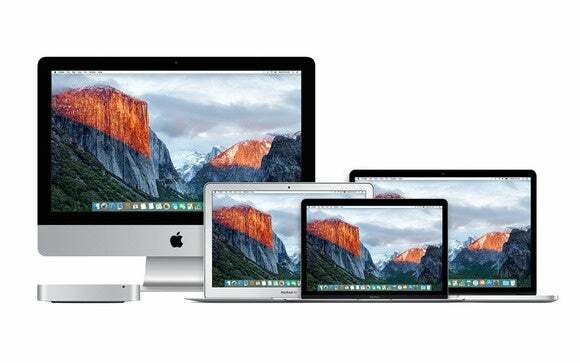 Hopefully we’ve given you some useful suggestions to help you get to know your new Mac. The most important thing is not to feel intimidated. Your Mac is meant to be used, and Apple has made it easier than ever to get more out of it. Enjoy your new computer!